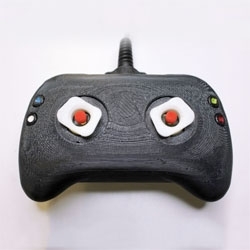 VIDEOGame controllers get haptic feedback implanted into their thumbsticks. 5 new feedback sensations promised. FEATUREDToy Boarders! 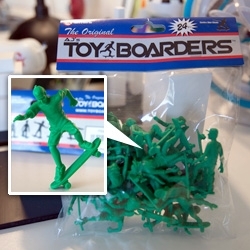 Like classic little plastic toy soldiers... only skateboarders! Adorable in 24 packs! 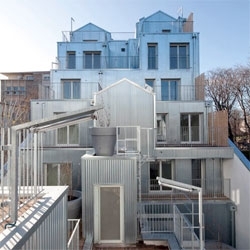 Stephane Maupin's M building clad entirely in corrugated metal. VIDEOBeautiful music video "The Day the World Went Away" directed by Pierre Debusschere and visual effects by studio 254forest. 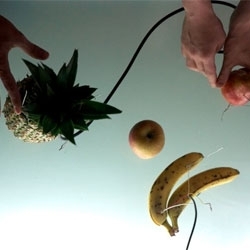 “Natura Morta” is a musical concert where the only instruments used are real fruits and the sound we’ll hear is exclusively the electric energy contained within them. 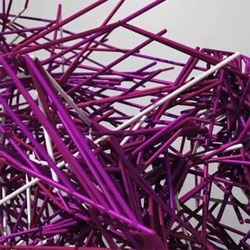 Fascinating project from Quiet Ensemble. 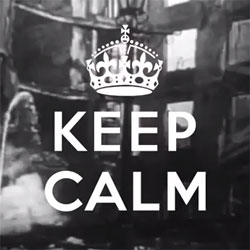 VIDEOThe story behind the now ubiquitous Keep Calm and Carry On posters from Barter Books. 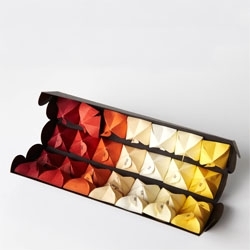 If the box is extremely simple at the base, it opens with an explosion of color where each little teabag is a fine piece of paper folding art. 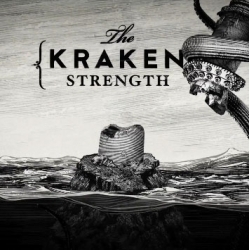 VIDEOGorgous new Kraken Rum spots from Dead as We Know It and Adam Gault Studio. Discover the existence, strength and survival of the mysterious beast. 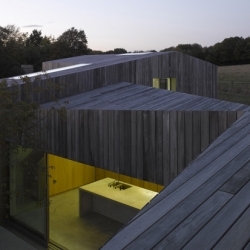 'Old Bearhurst' by Duggan Morris Architects : a significant extension and remodeling of a 200 year old Oast House, in East Sussex. 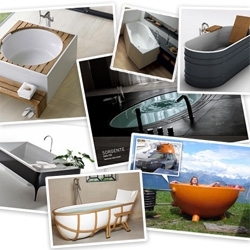 FEATUREDA roundup of years of lustworthy bath tubs and hot tubs we're loving... from gorgeous designs... to hot tub boats, dutchtubs, and even igloo hot tubs! VIDEOQuintin got together with pro-skateboarders Manny Santiago, Danny Supa, Brett Sube and the good folks over at rcaerialcam.com. 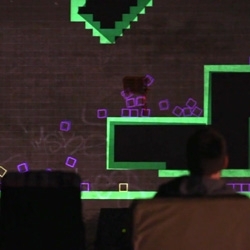 This video takes place on the streets of Downtown LA. 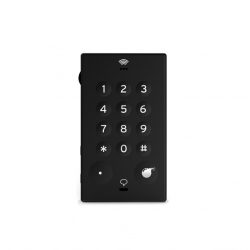 John's Phone from John Doe agency is designed to work for 3 weeks with a single charge and can work with any SIM card in the world! 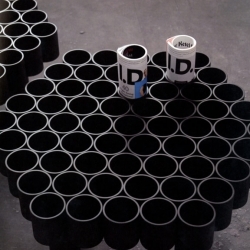 VIDEOIce Angel: An interactive installation by Dominic Harris. 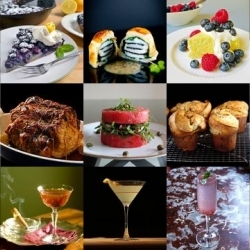 FEATUREDThis week’s droolworthy roundup from Tasteologie and Liqurious includes Boxberry cocktails, sea scallops in black tie and Cacao Bliss. 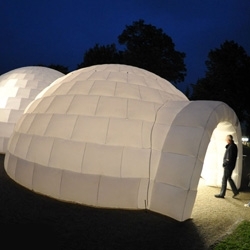 Iglounge inflatable igloos ~ and they get big enough to throw parties and large dinners, etc in! 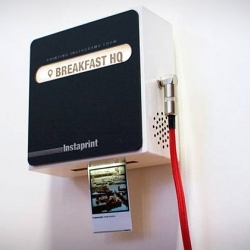 VIDEOInstaprint is a location based photo booth that can transform parties and events by putting a camera in everyone's hand. 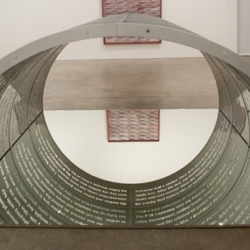 Conceptual artist Mary Kelly on dryer lint, her lack of routine, and her work with Ray Barrie 'Habitus: Type I' 2010 at Postmasters. Powershop 3 is a lavish retail bible from Frame Publishers, with its gilt-edge pages brimming with 173 of the latest shop and showroom interiors from around the world. 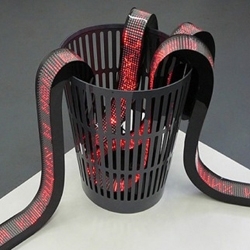 DIY table / magazine rack designed by the designers Malafor. 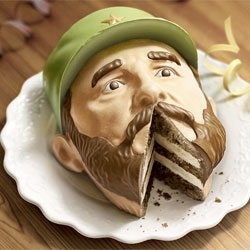 Euro RSCG's campaign for the 50h anniversary of Amnesty International with cake-sculpted heads of dictators Fidel Castro and Alexander Lukashenko with a slice taken from the mouth. 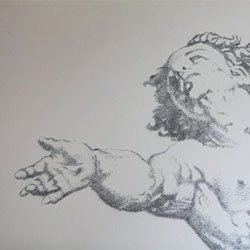 Baptiste Deboombourg's incredible wall installations made entirely from staples, inspired by 16th century drawings. 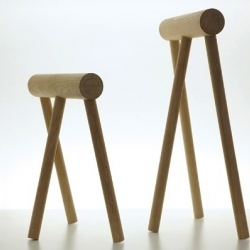 'Bhocker' stool by Marco dos Santos Pina. 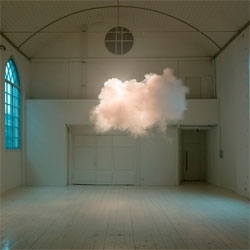 Berndnaut Smilde's Nimbus and Nimbus II, a cloud in a room. 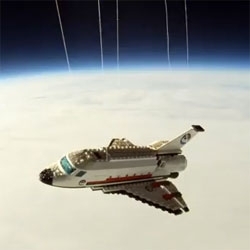 VIDEOA LEGO space shuttle! Launched from central Germany, it reached 35000m. A 1600g meteo balloon filled with helium was used alongside a GoPro Hero, Spot GPS and of course Lego Space Shuttle model 3367. 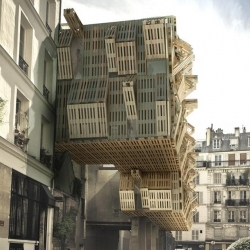 French architect Stephane Malka proposes a fluctuating facade of recycled wooden shipping pallets for a student dormitory in Paris. 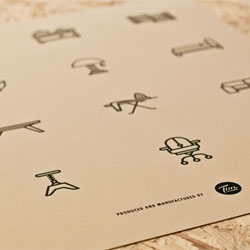 Fun prints from Tim Boelaars of his Icons series. 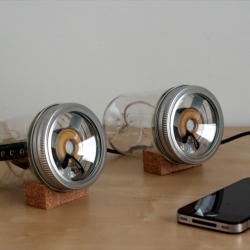 audioJar is a simple housing for David Mellis' open-source Fab Speakers crafted by Sarah Pease. 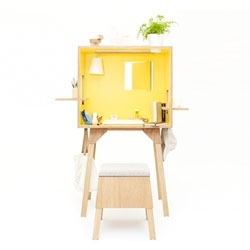 Koloro Desk Workspace by Torafu Architects. 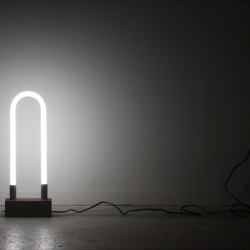 Contemporary new media artist Aristarkh Chernyshev creates sculptures that integrate today’s technology while commenting on our obsession with it. 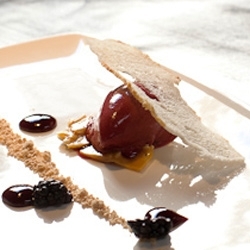 FEATUREDPeanut Butter and Jelly deliciously re-imagined! Haven Gastropub uses sorbet, peanut butter powder, and some more tricks on this childhood staple. 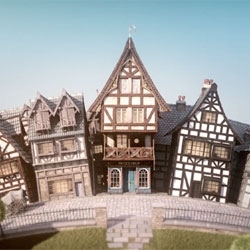 One month before lucky diners visit Blumenthal's the Fat Duck restaurant, they will be invited to an anticipatory experience from The Neighbourhood with Manchester-based LOVE and Zelig. 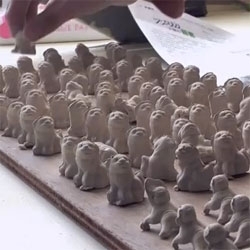 VIDEOA look inside the factory of Kutani Choemon as they make Jaime Hayon tablewares. Creative Review takes a look at Laurence King Publishers' new title, How 30 Great Ads Were Made: From Idea To Campaign, a new book by CR's Eliza Williams. 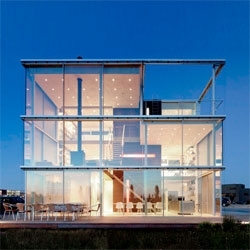 The stunning Rieteiland House designed by Hans van Heeswijk. 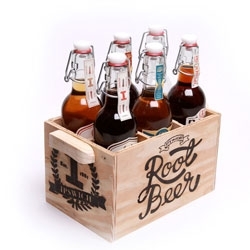 James Utley, Keith Jernigan, Aubree Barnett, Zack Gulliani and Jordan Bell's conceptual packaging for Ipswich brewing Company Root Beer. Quayola and Memo Akten, through Nexus Interactive Arts, created ‘Forms’ a multiscreen digital artwork commissioned by the National Media Museum for In the Blink of an Eye: Media and Movement, part of the Cultural Olympiad program. 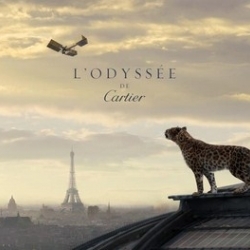 VIDEOL'Odyssée de Cartier directed by Bruno Aveillan. 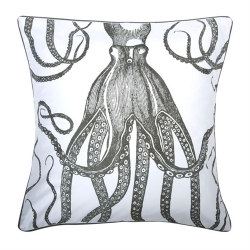 Beautiful hand screen-printed pillow with an image of an octopus in neutral colors, by thomaspaul. 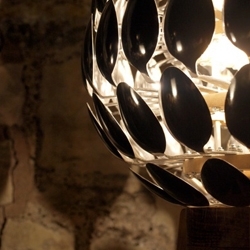 A light designed by American designer, Sarah Pease, from readily-available, standard parts, combined with solid black walnut and a soft, fabric cord. 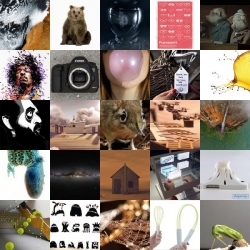 FEATUREDRunning elephant shrews, the 'James Bond Theme' played by quadrotors, and the modern story of the three little pigs are all a part of this week’s roundup from NOTCOT.org. Biografie is the graphical (-grafie) representation of small living (Bio-) creatures. 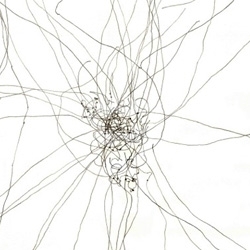 A pencil follows an ant, a spider, a silkworm a cockroach and more to create the line-work. 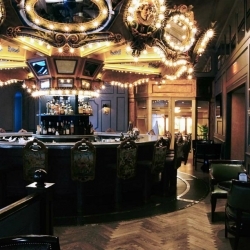 The new spinning bar top at the Carousel Bar in New Orleans by Bastille Metal Works. 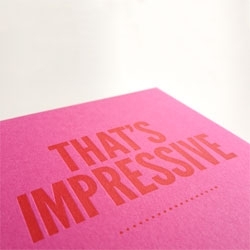 Beautiful letterpress pack from Glasgow Press. VIDEOSnake the World by MPU (Mobile Projection Unit) is a great mobile and urban spin on the classic computer game. 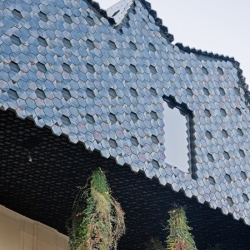 Among the city’s rooftops, expansion of the Museum der Kulturen designed by Herzog & de Meuron, in Basel. 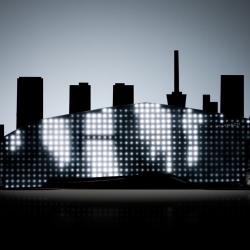 The Invisible Maybach, a diploma project created last year at the Mercedes Benz Design Studio, Sindelfingen. It is the inspiration for new Mercedes F-Cell advertising. Check out the video. 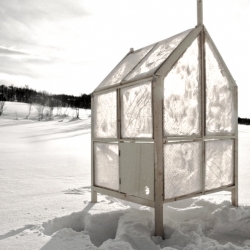 Norwegian designers create a foldable ice fishing hut for one, with walls made of ice.